Breathe new life into your wildlife journeys by including Sundarbans in your wildlife tour itinerary. In Bangla the word Sundarbans means 'beautiful forest'. 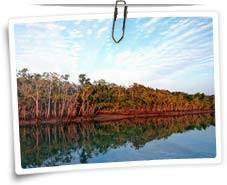 It is said that Sundarbans derived its name from the Sundari trees which are found in abundance here. The Park is the largest single block of tidal halophytic (a halophyte is a plant that naturally grows where it is affected by salinity in the root area or by salt spray, such as in saline semi-deserts, mangrove swamps, marshes and sloughs, and seashores) mangrove forest in the world. Sprawling over an area of 10,000 sq km, Sundarban Forest is located at the mouth of the Ganges covering some regions of Bangladesh and West Bengal, forming the seaward fringe of the delta. Sundarbans was declared a World Heritage Site by UNESCO in 1997. Sundarbans is the largest delta in the world formed by the confluence of the three rivers namely: the Ganga, the Brahmaputra and the Meghna. Sundarbans National Park is a home to the tigers who are well adapted to unique environment of the Park. They are expert in swimming and can also catch fish for their feast. Sundarbans also shelters wildlife like fishing cats, macaques, wild boar, Common Grey Mongoose, fox, jungle cat, flying fox, Indian Pangolin and chitals. Numerous migratory birds make Sundarbans their temporary home in the winters. Some of the most beautiful birds sighted here are Open Billed Storks, White Ibis, Water Hens, Coots, Pheasant Tailed Jacanas, Pariah Kites, Brahminy Kites, Marsh Harriers, Swamp Partridges, Red Jungle Fowls, Spotted Doves, Common Mynahs, Jungle Crows, Jungle Babblers, Cotton Teals, Herring Gulls, Caspian Terns, Gray Herons, Brahminy Ducks, Spotted Billed Pelicans, Large Egrets, Night Herons, Common Snipes, Wood Sandpipers, Green Pigeons, Rose Ringed Parakeets, Paradise Flycatchers, Cormorants, Fishing Eagles, White Bellied Sea Eagles, Seaguls, Common Kingfishers, Peregrine falcons, Woodpeckers, Whimprels, Black-Tailed Godwits, Little Stints, Eastern Knots, Curlews, Golden Plovers, Pintails, White Eyed Pochards and Whistling Teals. Apart from the above wildlife species, Sundarbans also inhabits fascinating wildlife species such as Olive Ridley turtles, dolphins, sea snakes, king cobra and crocodiles. Some of the aquatic beings found here are Saw Fish, Butter Fish, Electric Rays, Silver Carp, Star Fish, Common Carp, Crabs, Prawn, Shrimps, gangetic Dolphins, Skipping Frogs, Common Toads and Tree Frogs. Boat cruise is the best way to explore Sundarbans and the most favorable time to visit Sundarbans is in the month of May and September. 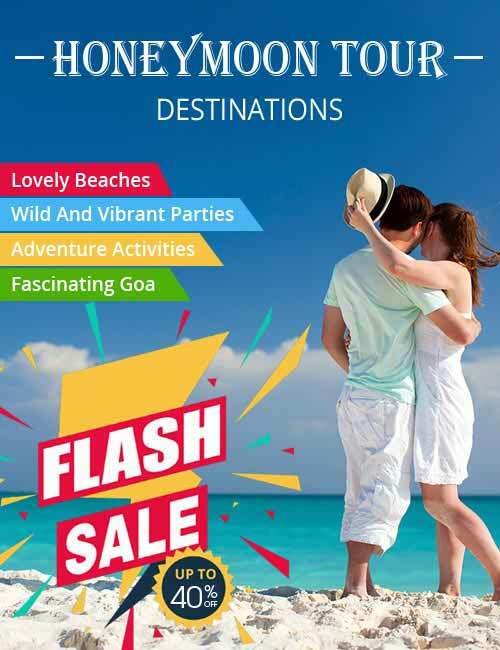 Nearby Attractions: The Sajnakhali Sanctuary (famous for its rich avian population), Netidhopani (ruins of a 400 year old temple), Bhagabatpur, Kanak, Haliday Island, Piyali, Kaikhali Island. By Rail: The nearest railway station is Canning located at a distance of 48 km. By Road: Sundarbans is well connected to the main cities of West Bengal. Accommodation is not an issue in Sundarbans. Some of the best accommodation options in and around Sundarbans are Sunderbans Jungle Camp, Sunderbans Tiger Camp, Sajnekhali Tourist Lodge and Chital Tourist Lodge. Make a difference to your wildlife tour by visiting Sundarbans!